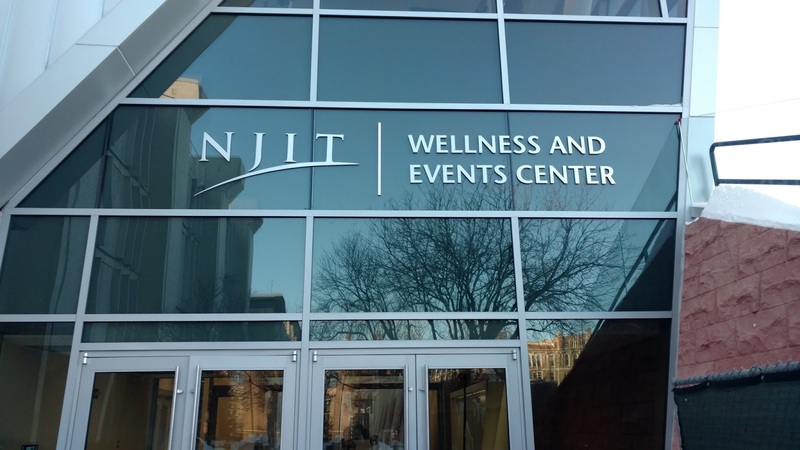 This year, the NJIT Highlanders opened a new wellness and events center, suitably named the NJIT Wellness and Events Center. 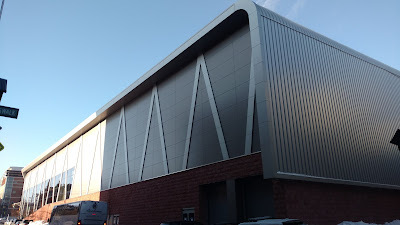 It replaces the Fleisher Center, where I attended a historic game back in 2015 (it was the first NCAA game to use the 30-second shot clock, which is now standard). The new venue made NJIT the only school in the area that I had not seen the active hoops arena, so I had to get there sometime, and chose the coldest day of the winter to do so. As an aside, it is ridiculous how the 24-hour news cycle hypes winter storms like they never happened before. Yes it snowed a lot, and yes it is cold, but these are not new occurrences, and certainly not deserving of three-hour breaking news specials. 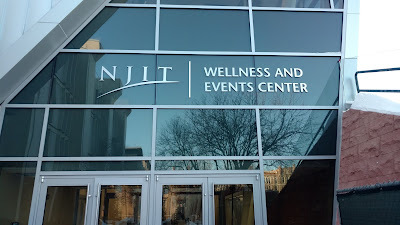 Anyway, the WEC is located right next to the Fleisher Center on NJIT's campus and easily walkable from Newark Penn Station, though on a day like today, the light rail was worth the $1.60 to save 20 minutes outside. 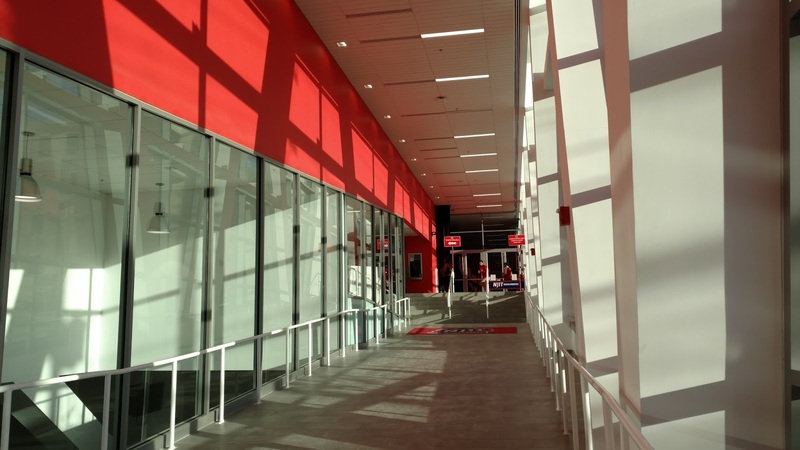 Exiting at the Warren Street/NJIT stop, you will find the WEC right there, with the main entrance at the corner of Warren and Lock. Before entering, I took a brief walk around to snap some exterior shots. The building looks quite nice and dominates a significant portion of the city block, but much of the interior is still under construction. Eventually, it will contain a fitness center, indoor turf area, pool, and extra courts for intramural activities. 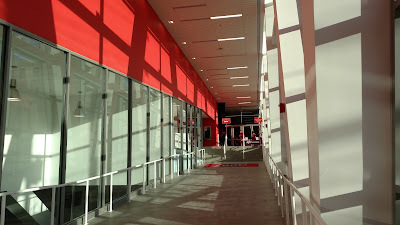 Returning to the main entrance, you will walk up a long hallway to get to the box office. The windows on the left look into a large room below which I expect will be a gym or something, but is now mostly empty. Tickets here are $10 for the upper bowl, which is all you need. In fact, you might be able to get in for free. After purchasing my ticket, I went through the door into the gym, looking for someone to scan or tear the ticket. But there was nobody there. I could have just walked in! But that would have not allowed me to secure the hard ticket that matters so much, so I have no regrets. 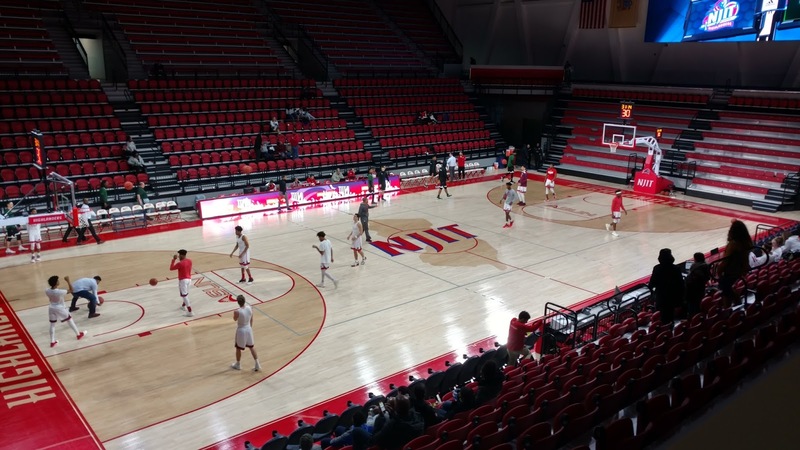 The new court seats 3,500 and was built to compete with other mid-major basketball venues, which it does very nicely. I was quite impressed with the layout, but there is still some work to be done on the overall building. 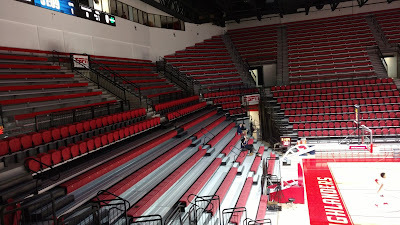 There are reserved box seats lower down on both sides of the court, and each end zone has single seat benches without a back, along with a couple of rows of box seats, as you can see below. There is an upper section of metal benches on one side of the court, which is general admission. I was doing some phone reporting at this game, so sat there and had the entire area to myself. 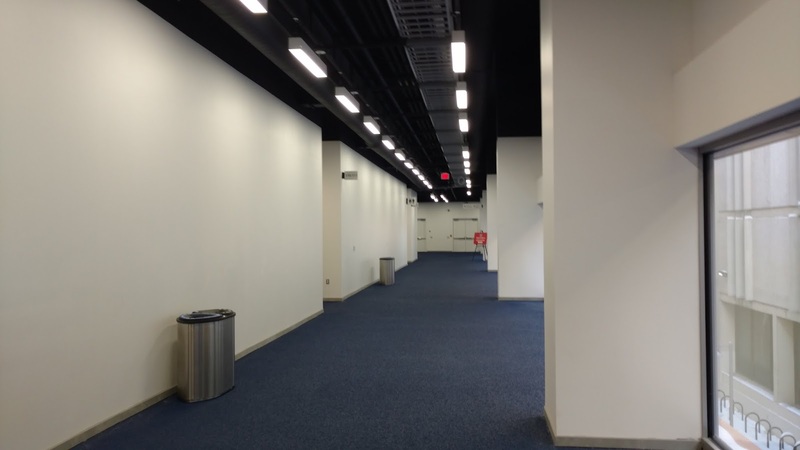 The concourse is carpeted and encircles the entire seating bowl, though there is nothing to see. A small concession stand is in one corner, but I just saw chips and soda on offer. 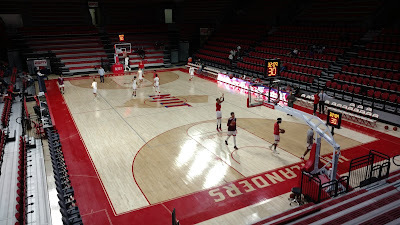 The picture below is taken from near the top of the GA section on the far side of the court. As mentioned, it was very cold on this day, and the NFL playoffs were on, so paid attendance was only 618, without actual turnout about half that. Overall, the WEC is an excellent facility that still needs a bit of work. As a sports venue, it also needs some improvements, particularly in concession variety. Still, if you are a stadium chaser, this one is worth the trip to Newark if you are in NYC during hoops season. 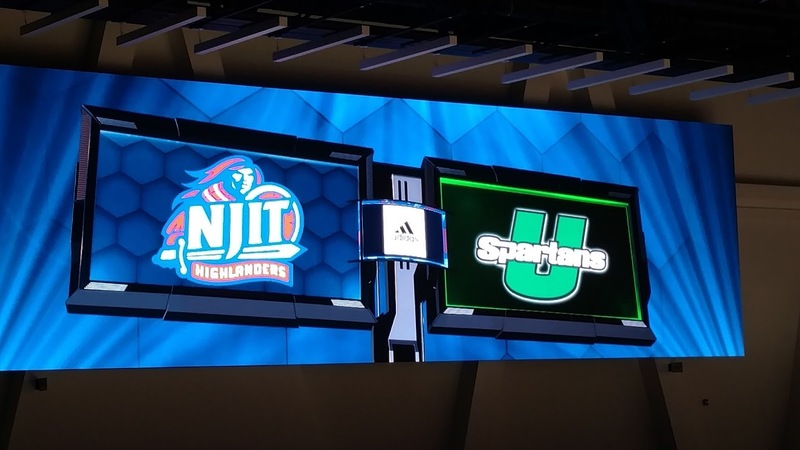 The Highlanders were opening their Atlantic Sun schedule with the South Carolina Upstate Spartans enjoying their visit to frigid New Jersey. The Spartans got out to a 14-7 lead, but Shawndale Jones scored 8 straight for NJIT and then assisted on a three from Zach Cooks as the Highlanders took an 18-14 lead and never trailed after that. A late three from Jones made it 44-39 at the half, and when NJIT started the second stanza on a 9-2 run, the game was pretty much over. 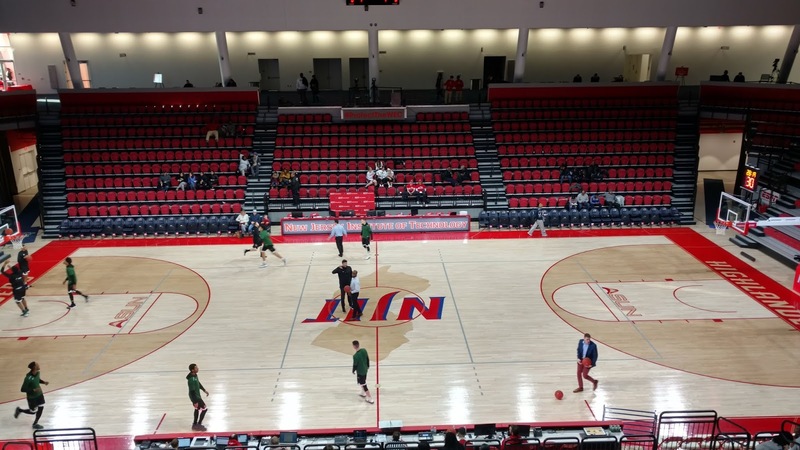 USC Upstate tried fouling a lot down the stretch, but Shyquan Gibbs made 6 consecutive free throws and Cooks added a pair late as NJIT won easily 98-87. 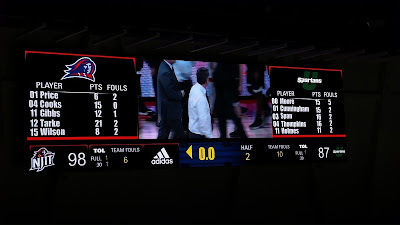 This was a fast-paced game with excellent shooting from both schools, with NJIT going 31-59 (52.5%) including 12-23 (52.2%) from beyond the arc. 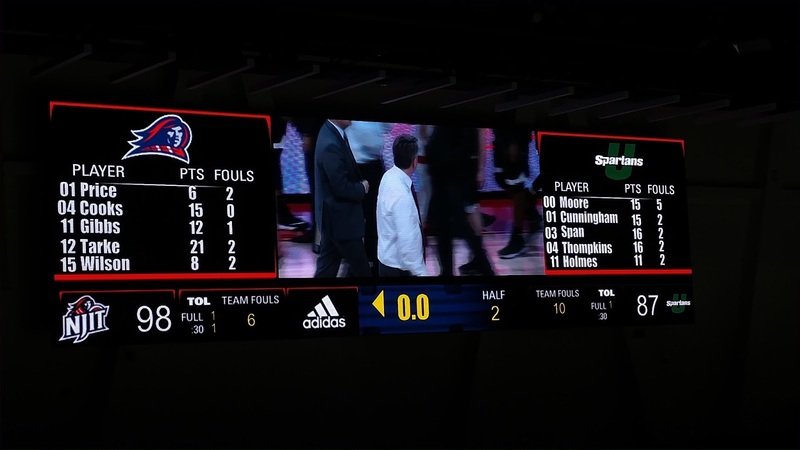 NJIT only committed 6 turnovers as well, and showed that the combination of protecting the ball and shooting well is hard to beat. The Highlanders were independent until last season, when they joined the A-Sun, which has teams in the Florida, Georgia, Tennessee, and South Carolina. The Spartans are actually leaving the conference for the Big South, no doubt caused by having to fly to New Jersey in January. They will be replaced by North Alabama, who are transitioning from Division II. I was also hoping to see Division III Newark-Rutgers, who had a game two hours after this one completed. I had planned to go to McGovern's, an old Irish Pub near both schools, but it was closed for no obvious reason. I tried another nearby bar, which was also inexplicably closed, so with no place to grab a bite, I headed back home rather than hang out in Newark for two hours. Venue 770 will have to wait.